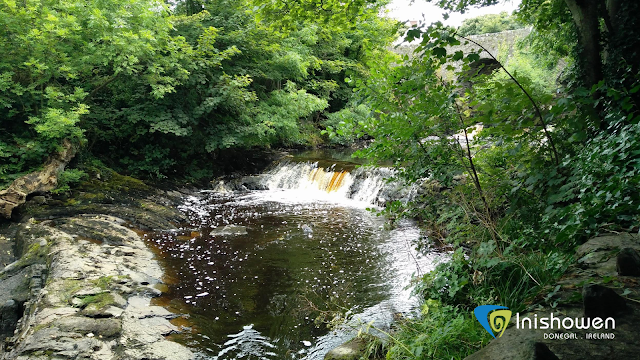 In 1905, Buncrana was the first town in Co. Donegal to get electricity, generated at Swan's Mill. 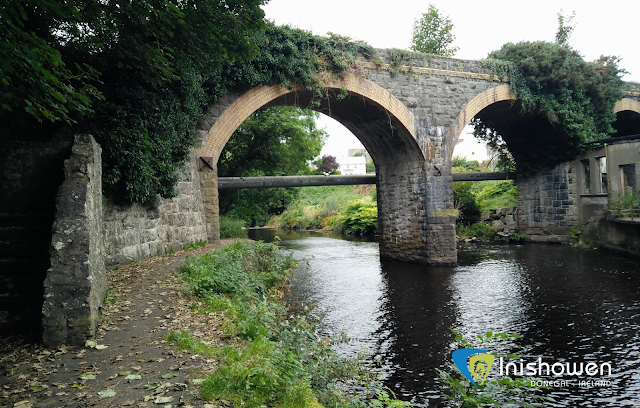 There is an open public walk along the river and there are falls under the Mill Bridge. 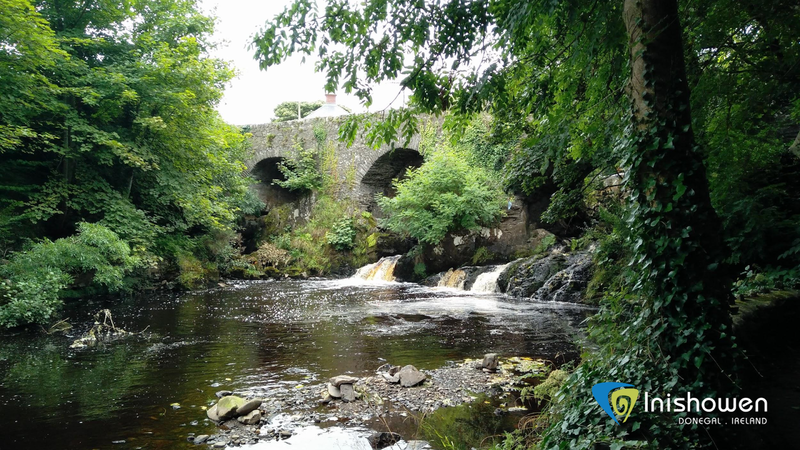 It provided the town, the first in Donegal, with a domestic supply until it was supplanted by the ESB rural electrification scheme in 1954. 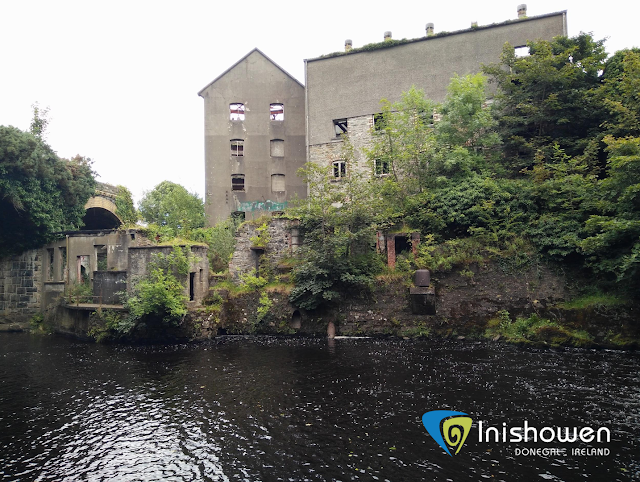 Swan Mill generated electricity at the Mill River falls for the Buncrana Electricity Supply Company. 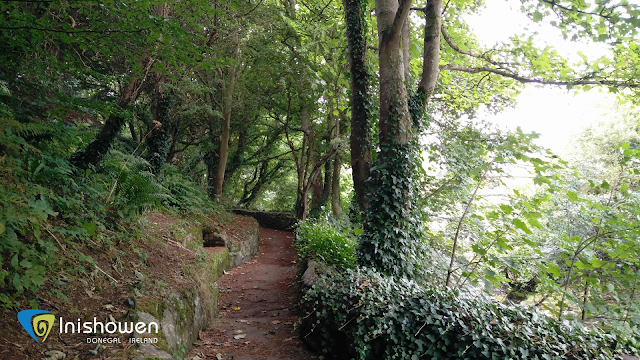 See the map below, for more detail of the walkway around this hidden gem in Inishowen.